Choosing the best Mac for back to school seems like it should be a simple matter. But before you shout out ‘MacBook!” or whichever Mac laptop is your favorite, you may want to take a look at this guide, which delves a bit deeper into which Mac is a good fit for schoolwork and beyond. Is that MacBook, MacBook Air, or MacBook Pro the best fit, or would a desktop, such as the Mac mini, iMac, or Mac Pro, be a better choice. Believe it or not, all Macs can work well in a learning environment, but of course, each has its strengths and weaknesses. Some, like the 27-inch iMac, have a bonus benefit: it will also help strengthen your muscles, as you lug it to and from your classes. One benefit of the Mac that’s sometimes overlooked is longevity. It’s likely the Mac you buy today will still be a productive computer five or more years down the road. 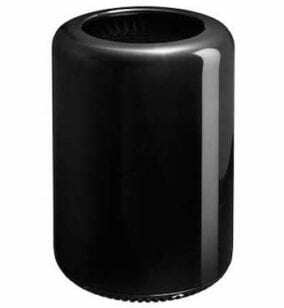 Our 2010 Mac Pro is still chugging away, running the latest OS and apps without issues. As a result, it’s highly likely that the Mac you buy for school will still be running long after you’ve put down your books and watched your school disappear in the rear-view mirror. Your Mac may even see you through your entire education and into your chosen profession. The point is, you may want to spend a little more up front to equip it for the long term. Even if you replace your Mac early in its useful life, you’ll likely be able to get a better return on a well-equipped Mac than a base-level model. The prices we mention below are Apple retail prices. There are many sources for discounted Macs, especially if you’re willing to consider used or refurbished models. 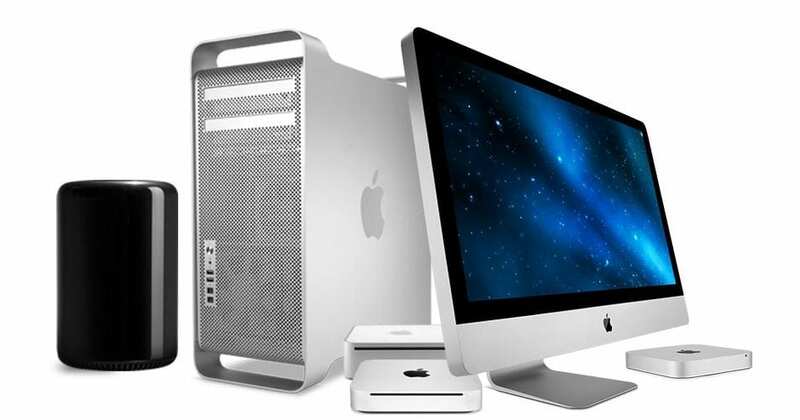 OWC has an inventory of new, used, and refurbished Macs that are fully tested and inspected by its expert technicians; the Macs come with a 14-day money-back guarantee and a 90-day limited warranty. The MacBook Air is currently the least expensive Mac laptop, but it still offers decent portability, reasonable performance, and a nice mix of peripheral ports, including USB 3, Thunderbolt 2, and an SDXC card slot. Having these ports built in can cut down on accessory expenses you may run into with the smaller and lighter 12-inch MacBook. Graphics are provided by Intel HD Graphics 6000, which can support both the 13-inch non-Retina internal display and a second external display, a nice option when at home or in the dorm. Best use: The MacBook Air is a good choice for general education, and will excel as a note-taking platform for lectures, basic research for school projects and courses, and keeping in touch with teachers, friends, and family. It’s a great choice for secondary education through a two-year associate degree. It can also serve for advanced degrees, depending on the subject manner. Proceed with caution: The MacBook Air may not work quite as well if you need to work with graphics- or multimedia-intensive apps on a regular basis, but for occasional use, it should be fine. The MacBook Air is a good choice for general education, where portability trumps performance needs. The 12-inch MacBook offers an even smaller footprint than the MacBook Air but includes a very nice Retina display with 2304×1440 pixels. The base model uses a 1.2 GHz dual-core m3 processor, though you can optionally equip the MacBook with an Intel i5 or i7 processor for better performance. An Intel HD Graphics 615, which can drive the Retina display as well as a second external display up to 4096×2304 pixels, handles graphics; this means the MacBook is capable of driving a 4K display. When it comes to peripheral ports, the MacBook has just one: a USB-C port that is used for everything, including charging, USB 3.1 gen 1, DisplayPort, VGA, and HDMI. To gain most of these functions from a single port, you’ll need a number of adapters or a multi-port docking station. Best use: The MacBook is a good choice if having the lightest weight Mac and portability are your main concerns. The base MacBook is a good note taker, and email and web-browsing platform. Moving up to the faster and more expensive i5 and i7 processor options gives this Mac a nice boost in performance. While it doesn’t rival what a MacBook Pro will get you, it can still serve the basic needs of high school and college students in general education courses. Proceed with caution: The MacBook’s single port can lead to juggling adapters to perform basic tasks, including backups, charging, adding more storage, or connecting a secondary monitor. Make sure you really value the lightweight, slim design above all else. 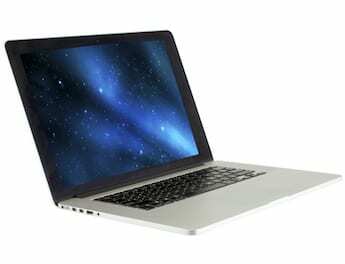 Available in both 13-inch and 15-inch display sizes, the MacBook Pro is the workhorse platform for educational users. The MacBook Pro is thought of as the most expensive of the MacBook lineup, but the base 13-inch model is priced competitively with the base 12-inch MacBook. The MacBook Pro also incorporates the new Touch Bar with Touch ID Sensor. This feature is not available in the base models; it requires stepping up to at least the 13-inch model ($1,799). All models include a Retina display, and have a minimum of 8 GB of RAM; they can be ordered with an additional 8 GB, bringing the total to 16 GB of RAM. The 15-inch models come with 16 GB already installed. The base 13-inch model includes two Thunderbolt 3/USB-C ports that are used for charging as well as adding peripherals. Stepping up to the mid-level 13-inch model, as well as all of the 15-inch models, brings four Thunderbolt 3/USB-C ports to the table, a much better configuration that provides plenty of options, even while using one of the ports to charge the MacBook Pro. The MacBook Pro lineup is the performance leader among Mac laptops, making them a great choice for a wide range of school use as well as a good platform for many professional uses. Best use: The MacBook Pro in base 13-inch configuration is a good choice for those who need a well-balanced laptop with enough power to meet the needs of all but the most specialized usages. You’ll find the base models good for note taking, web browsing, email, music production, basic design development, technology uses, such as AI, programming, and IT, engineering, multimedia, and more. Moving beyond the base models, which would include better processors and more memory, the MacBook Pro is a good choice for 3D modeling, video and audio production, advanced engineering, science, and art, all within a portable laptop environment. The MacBook Pro family can meet the needs of students at any education level, including those pursuing advanced degrees. Proceed with caution: If your needs trend toward just the basics, you may find that while a MacBook Pro will meet all your needs, you may end up paying for performance and versatility that you never actually make use of. The main selling point of the Mac mini, at least in its current incarnation, is cost. 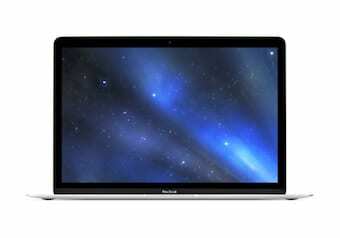 It’s currently the least expensive Mac that can be purchased new. And while it’s a desktop model, its small size and light weight make it easy to take with you to school and set up in a dorm room, office, or home. The Mac mini in its base configuration isn’t a lightning fast performer, but its good enough for all basic school needs, and can handle most routine tasks you throw at it; from working with images to basic research, the Mac mini will perform well. Moving on to the top-of-the-line model with a dual-core i7 processor, Fusion drive, and 16 GB of RAM gives the Mac mini enough performance to handle more advanced tasks, such as music production, photography, and some basic engineering usages, such as 2D CAD. Best use: The Mac mini can serve the needs of those pursuing general education courses. In its top-tier configurations, the Mac mini can also meet the needs of those pursuing science, technology, and multimedia, at least through the underclassman level. 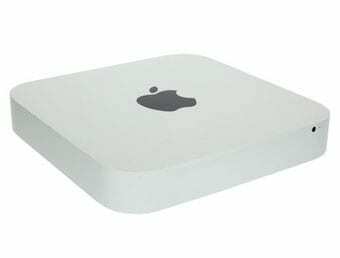 Proceed with caution: Due to its lack of portability (because it requires a separate display), you may find the need to supplement the Mac mini with a tablet or smartphone for basic note taking in classes. Even though the iMac is rarely recommended for taking to school, it may actually have a lot going for it. Sure, you won’t be carrying it with you to class, but once it’s set up in a semi-permanent location, such as a dorm room, the iMac, especially the 27-inch model, can be a real powerhouse, able to handle nearly anything you can throw at it. The iMac is available in two main configurations. The 21.5-inch model comes with either a standard display or a Retina 4K display. The base model with the standard display lacks enough features to make us think it doesn’t rate a school recommendation; it’s also saddled with a slow drive and basic graphics. But the 4K models, as well as the 27-inch iMac, are another story. Available with a multitude of processor, storage, and graphics options, you can configure the iMac to almost custom fit your school needs. Working with video production with 4K and above content? The iMac can handle that, with one RAM slot tied behind its back. Science, technology, CAD, 3D modeling; all should perform well on a properly equipped iMac. Multimedia development? Piece of cake. Of course, the tradeoff is a more expensive Mac that is, for all practical purposes, tied to one spot, and cumbersome, if not impractical, to move around. So, don’t plan to use your iMac for note taking or recording lectures. Best use: The iMac can be used for just about any educational track a student may be on, including those involving advanced degrees. It also makes a great home computer for primary and secondary educational use. Proceed with caution: Due to its large size, a supplemental device, such as an iPad or iPhone, is recommended for use in classes. There was a time when we would have recommended the Mac Pro for graphic design, music production, video production, science, and technology. But that was a while ago. The Mac Pro hasn’t seen a meaningful update since 2013, and while Apple has said a new model is on the way, it likely won’t be here until sometime toward the end of the year. If you need the performance of a Mac Pro, a properly equipped iMac or MacBook Pro should be able to meet your needs in school. You may even find that one of these newer Macs configured to your needs may actually outperform the older 2013 Mac Pro. Best use: If you already have a 2013 Mac Pro, we suggest updating RAM and storage to make it a serviceable option for school use. Proceed with caution: Unless you have a specific need for the Mac Pro, one dictated by the school or courses you’re taking, you would likely be better off waiting until a new model is released. Also, because the Mac Pro is a desktop machine, you may need to add an iPad or iPhone for note taking and other in-class activities. Would be nice to update this comparison and review to include the new iMac Pro which is definitely the most powerful Mac right now. Its base configuration comes with an 8-core 3.2GHz Xeon W with Turbo Boost up to 4.2GHz and its best config has an 18-core Xeon W.
Nice comparison list—very helpful and solid info! One of the best model comparison articles I’ve ever read. I have several different devices and you’re right on the money with your advice, especially the Proceed With Caution sections. Thanks for this handy guide.